The Petite Sweetheart corset gun holster features a sleek, light weight, dry wicking fabric in shimmery White with Mauve lace detail. Dimensions and other details: Approx. 7” high in the front, 8” on the back. Nine (9) hook and eyes down the front with adjustable double row. Velcro strip can be used as gun retention to secure your gun in place. Boning won’t allow the holster to bunch. 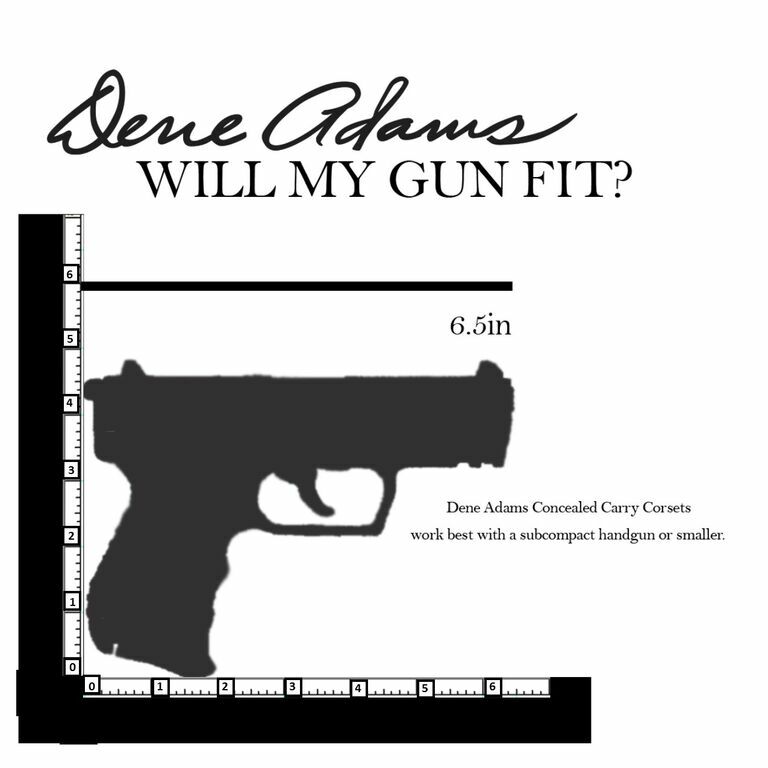 Dene Adams Gun Holster Petite Sweetheart. With the Dene Adams Petite Sweetheart Corset Gun Holster, a complete change in wardrobe is no longer required in order to carry your sub-compact pistols or smaller. Our ultra-feminine corsets allow you to holster your gun securely against your body using our patent pending technology. The PETITE line can hold a pistol up to 6.5 inches in length.